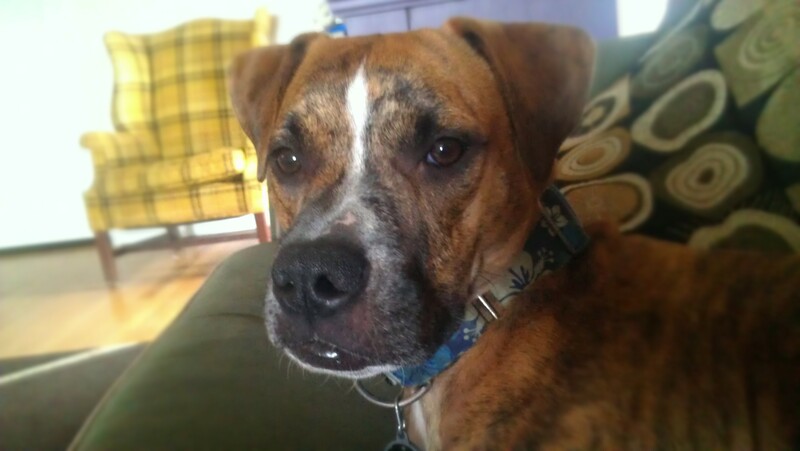 If you’d like to add this Macho Man to your family, please fill out an adoption application with Agape Animal Rescue. 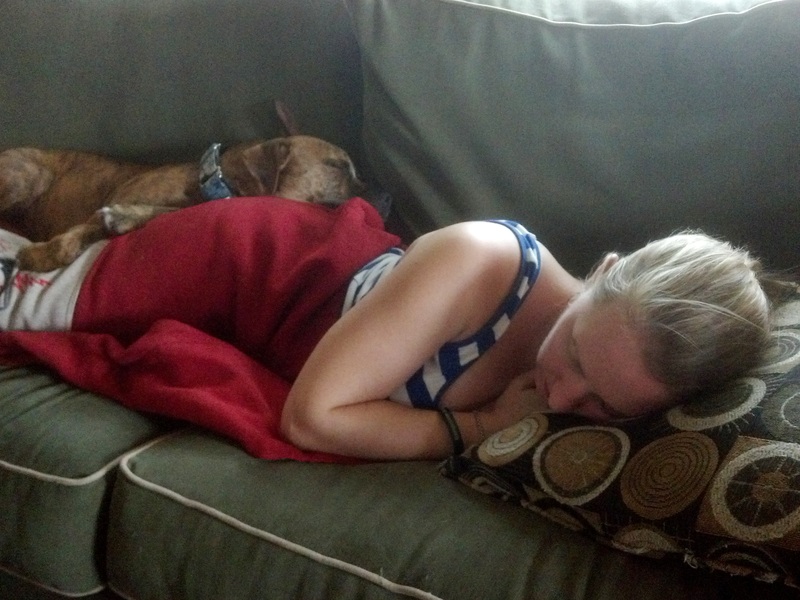 Sometimes on a lazy hot August afternoon, the stars align and the conditions combine for some serious, professional A-grade snugglin’ – a storm blowing in, a soft couch and a sleepy momma napping with a blanket. And Cooper is just the man dog for the job. If you’d like to add this furry professional snuggler to your family, please fill out an adoption application with Agape Animal Rescue. And don’t forget to VOTE FOR COOPER! I woke up one day last week to the unmistakable whimper of puppies. My heart sank. I knew immediately where it was coming from. I had heard it before. I looked out my back window and my suspicions were confirmed. 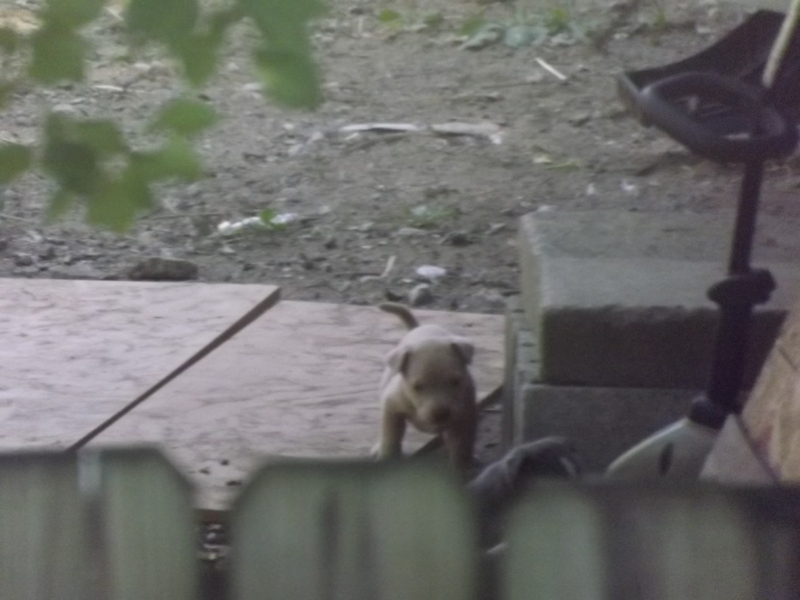 I counted at least six little puppies, maybe 5-6 weeks old. I know who their momma is – she’s a repeat offender. 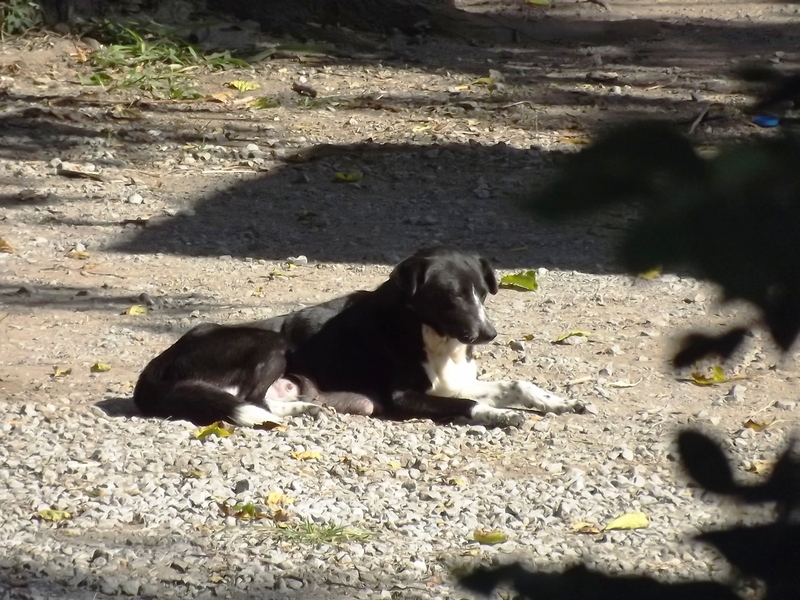 She’s one of the many stray dogs who roam my neighborhood, un-cared for, un-loved, and of course un-spayed. 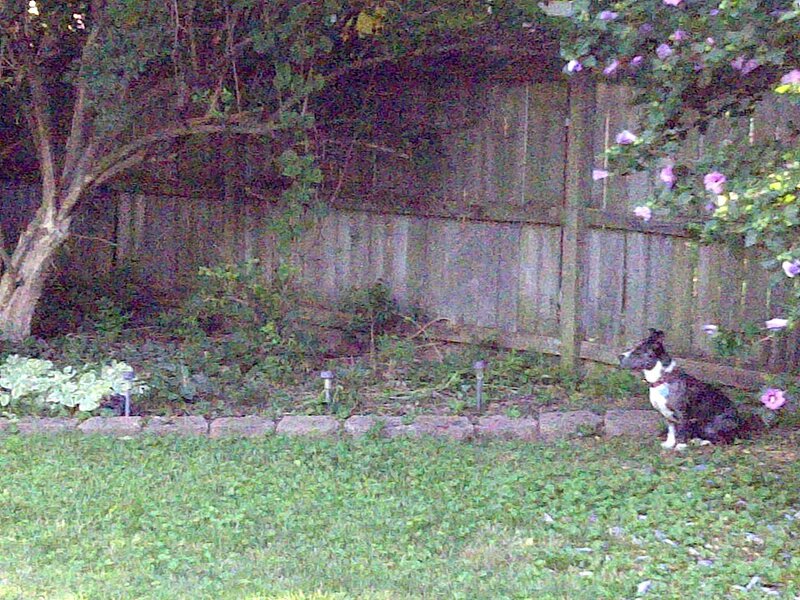 She hangs out in my neighbors back yard a lot of the time, though she doesn’t “belong” to them (that is, they claim no responsibility for her). And so, these puppies, like other litters before them, will go unclaimed as well. 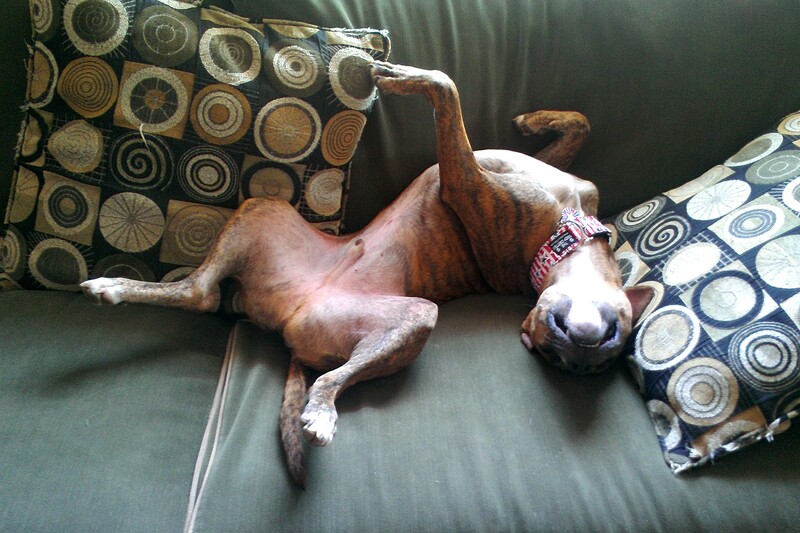 Since Foster Dad and I began our foster journey almost a year ago, we’ve rehomed five dogs. 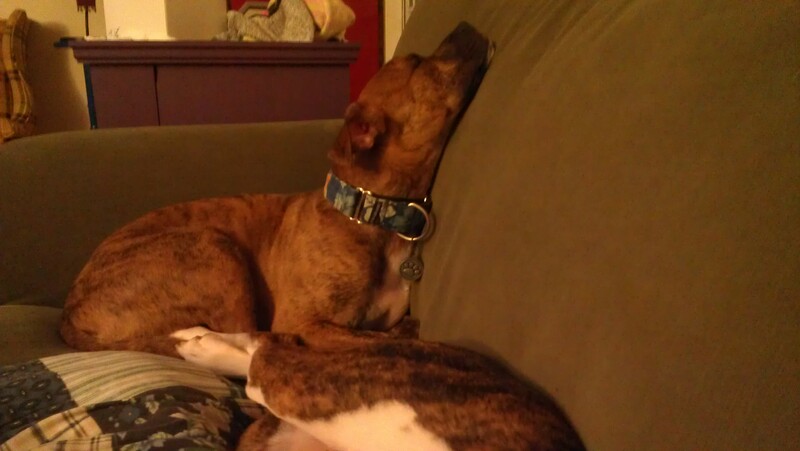 Five dogs who otherwise might not have had a chance at a happy healthy life, are now in loving furever homes. This last batch of stray puppies brought more dogs into this world than Foster Dad and I have rescued and rehomed since we started fostering. 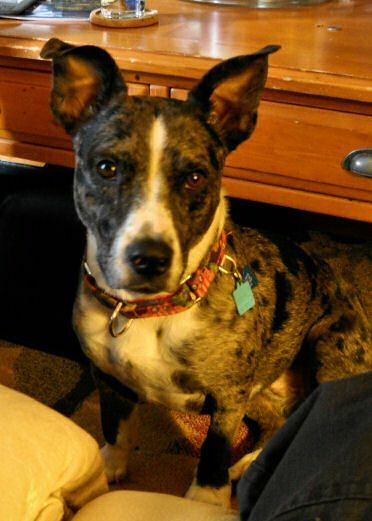 Because of this one dog, all our efforts have essentially been canceled out – plus one more! Talk about a deflating moment. 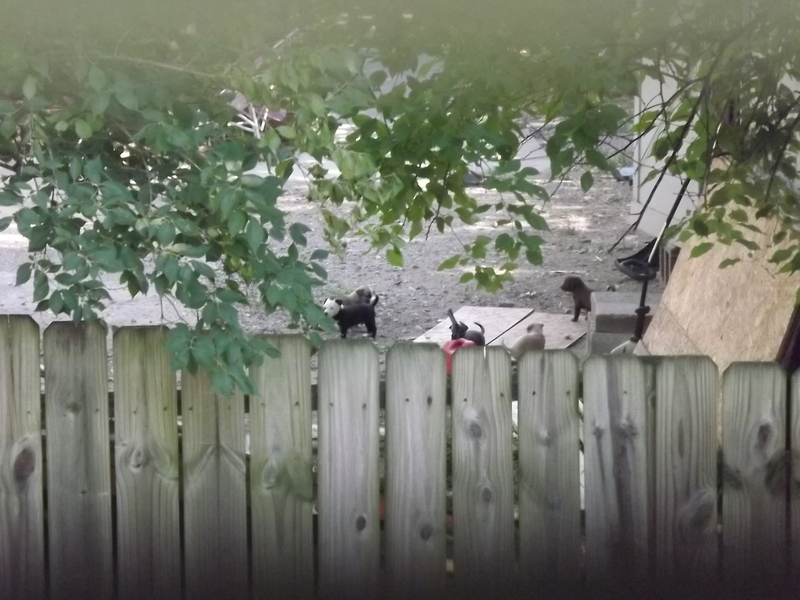 I see these poor puppies and I feel completely helpless. 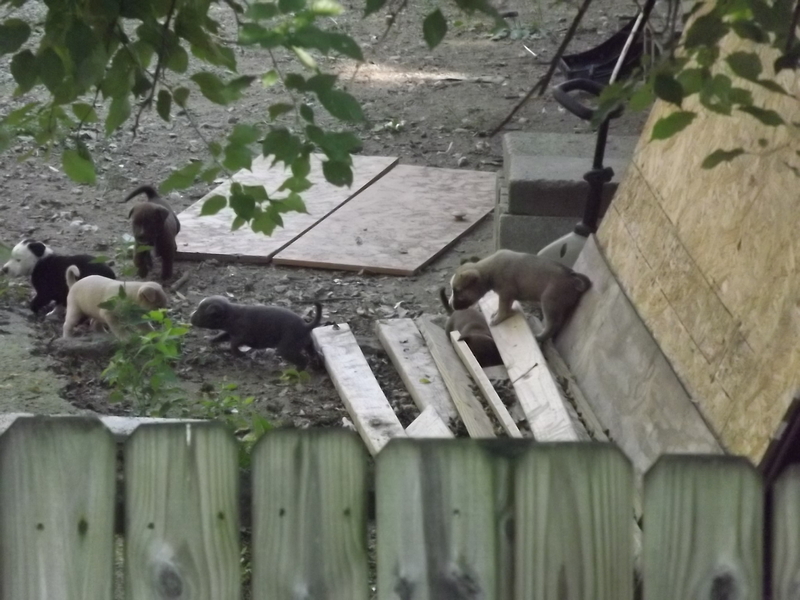 We are absolutely not in a situation to rescue a litter of puppies. And if they have any pit bull in them (and knowing who the daddy most likely is, they probably do), they don’t have a chance at the Humane Association or our local Animal Control – neither of whom adopt out pit bulls. 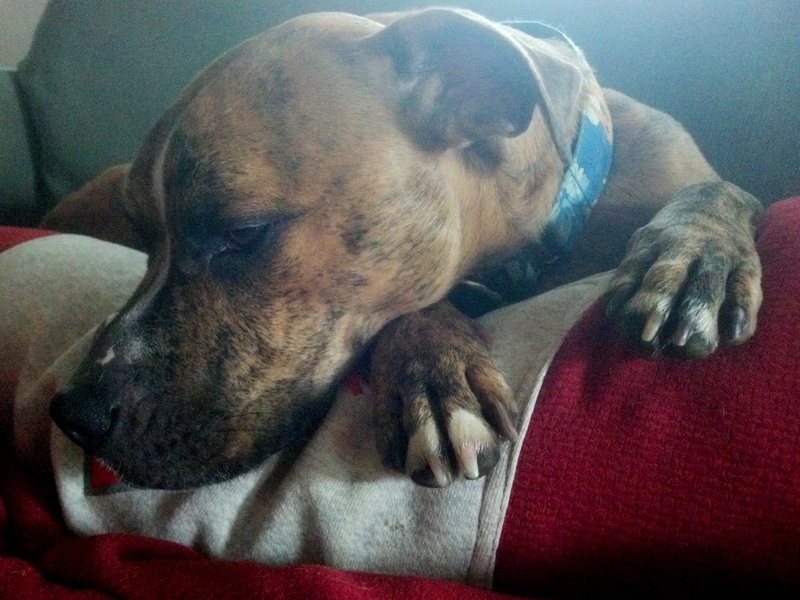 At the same time, my heart aches for them and their mother – did Roxie come from a situation like this? Was she born under a shed to a malnourished over-bred mother? 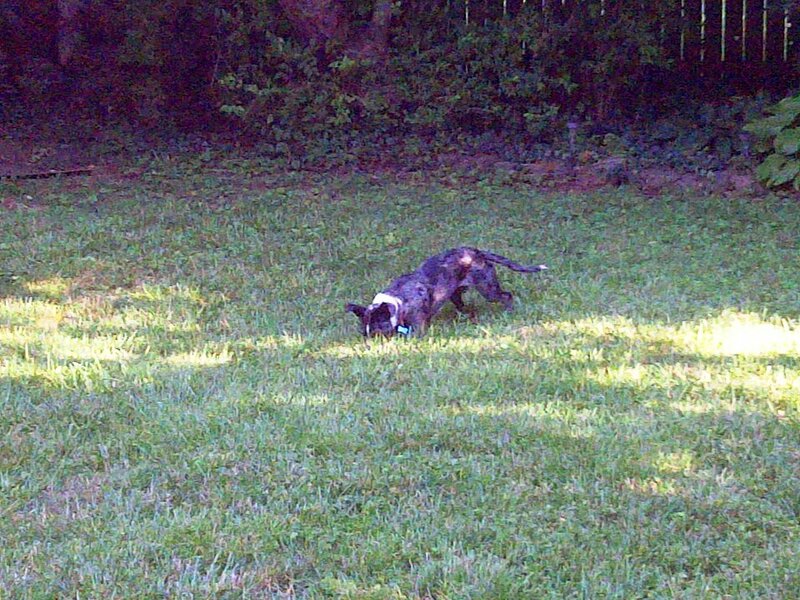 When she was big enough, did she finally wander off because she didn’t know what else to do? If we hadn’t picked her up that night, how soon would it have been before she popped out a litter of her own? I’ve had this post in “draft” form for nearly a week now, trying to think of a nice tidy way to wrap it up. I don’t have it. I am beyond upset at what I see going on right in front of me. I can’t even bring myself to think about how many other stray dogs in my city alone are contributing to the pet overpopulation problem, right this moment – let alone all over the country. Every time I come back to this post to finish it up, I get so angry I could cry. So, with nothing else to say o the matter at this moment…. 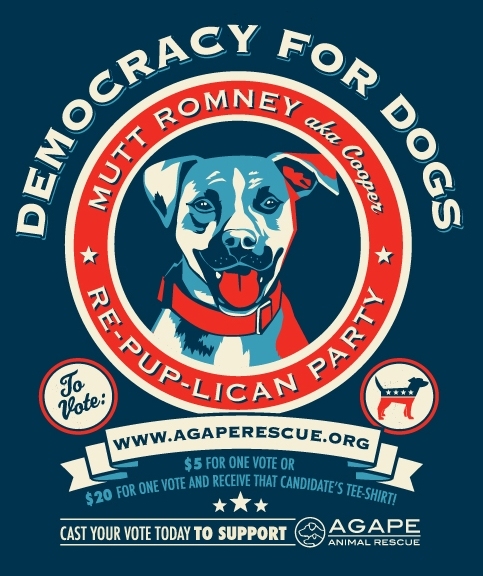 As we announced last week, Cooper is running for President through Agape Animal Rescue’s first ever Democracy for Dogs campaign. He’s laid out his platform, tapped his foster brother as his campaign manager, and when I wasn’t looking he borrowed my credit card because all of a sudden he has a new outfit, fit for the campaign trail! What the what? Cooper, is your bow tie not presidential enough for you? Cooper mumbled something about “campaign contributions” and “tax deductible” before he scampered off to play strategize with Oscar, so I took a look at my credit card statement to see what was going on. I found two strange charges – one to The Cozy Critter, and another to Dog Tag Art. Time to investigate these shops so I can see where Cooper is spending my hard-earned cash! 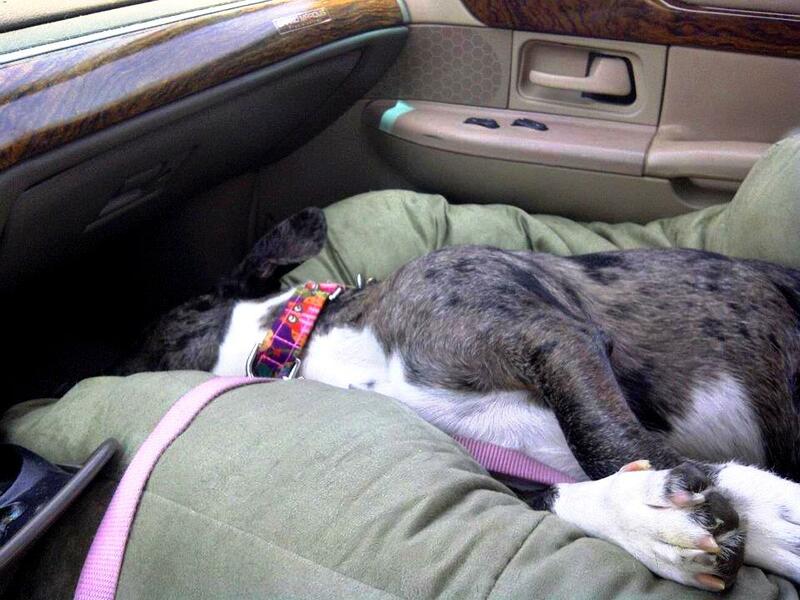 The Cozy Critter is your one-stop-shop for all things doggie swag. They have collars in different styles (martingale, buckle, etc), leashes in various lengths including couplers and training handles, harnesses (even for cats! ), treat bags, scarves and more. All of them can all be ordered in any one of their hundreds of fabric choices, which are all organized by category so you can easily find what you’re looking for. 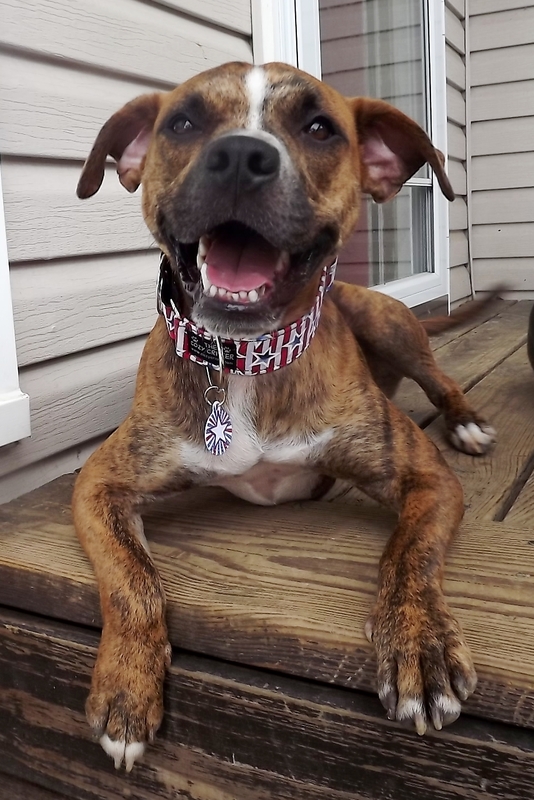 Their “patriotic” category explains why Cooper found his new collar design so quickly. I was actually pretty surprised that Cooper discovered Dog Tag Art before I did. 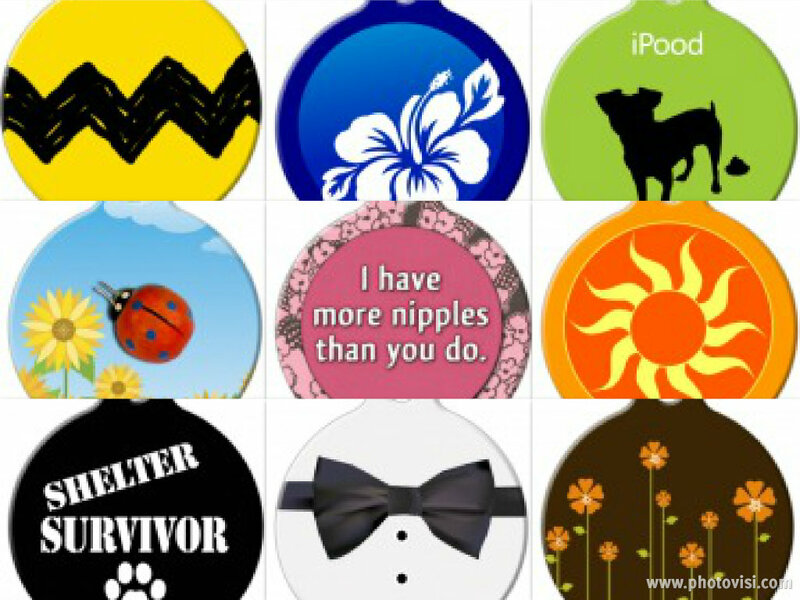 Once I found the site I got lost in the seemingly unending designs of pet ID tags. You can browse through hundreds of designs, or you can upload a photo and create your own. Here’s the best part – all their tags are just $11.99! I was pleasantly surprised at the tag’s quality. At such a bargain price, I expected it to be a little wimpy, but their tags are actually made of recycled steel coated with a polymer that makes them smooth like porcelain. The price of your tag includes four lines of text on the back, which Dog Tag Art guarantee for life – if the text ever becomes unreadable, they’ll replace your tag at no charge. Well, if Cooper was going to insist on doing some online shopping without my approval, at least he has good taste! And to top it off, he learned the meaning of the phrase “shop ’till you drop.” Being this stylish is exhausting! 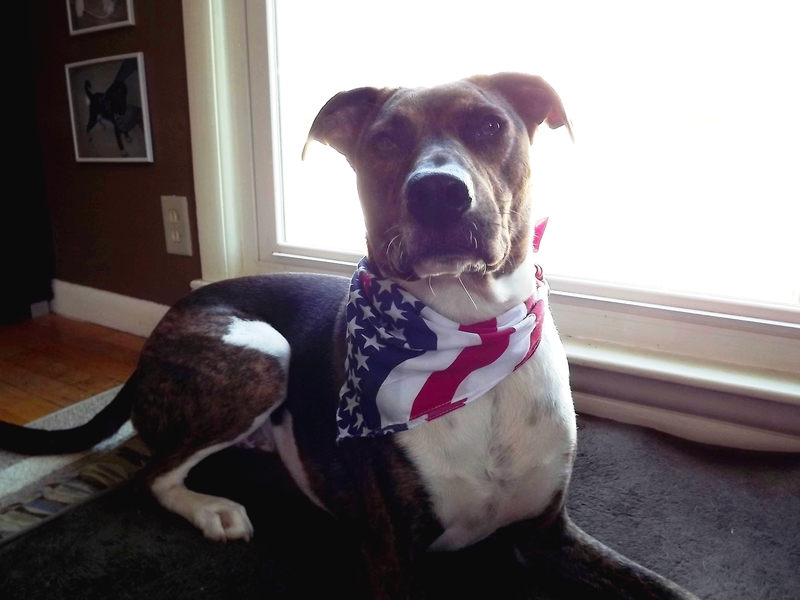 Along with his presidential campaign, Cooper is also campaigning for a Furever Home of his very own! If you’d like to add this presidential pup to your family, please fill out an adoption application with Agape Animal Rescue. 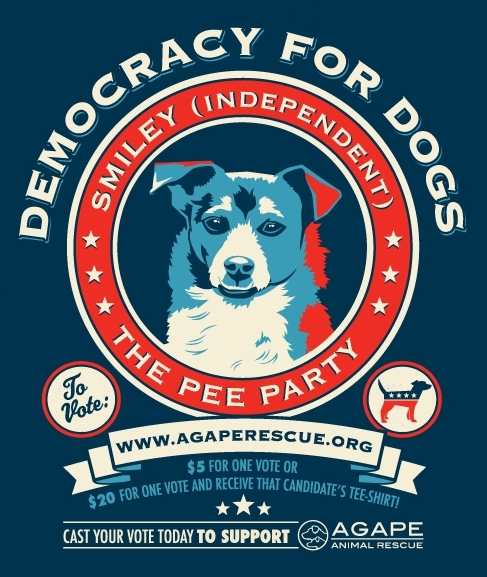 After our conversation, Cooper has decided to enter the “ruff” and tumble world of politics – he’s thrown his hat collar in the ring for Agape’s Pooches for President Campaign! 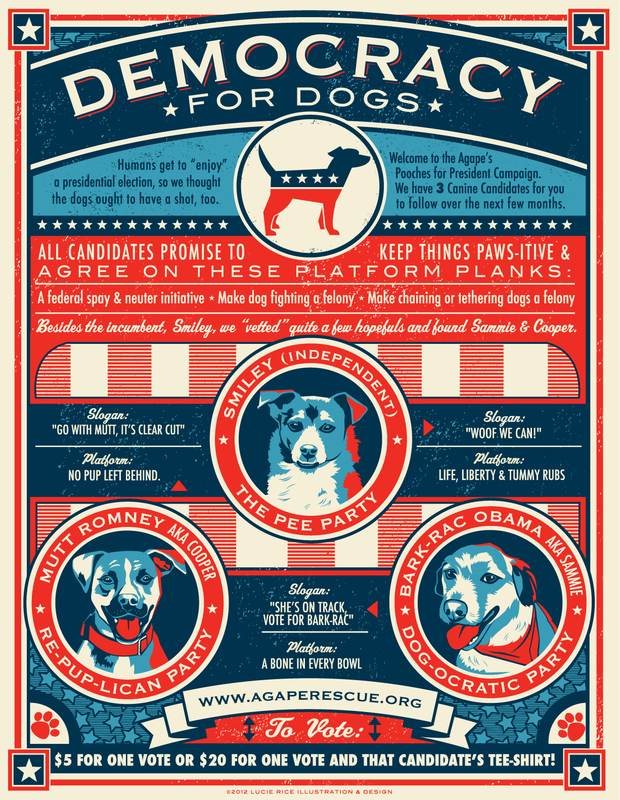 With a shared platform like that, any one of these three pooches would be an excellent choice. However we are clearly a little biased, so our vote is going to Cooper of course! 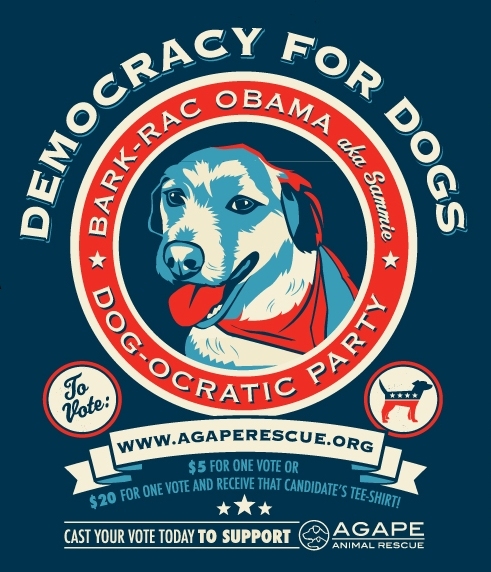 Oscar has even signed on as his campaign manager, and has tons of ideas to get Coop as much pawsitive press as possible over the next serveral months.